Day two was an exciting one! Front row at Thomas Bálint, new talent at the Mercedes Benz Start Up presentations, and a much needed bourbon-spiked cider cocktail at the Ritz Carleton’s VIP bar and lounge above all the fashion frenzy. It was also a real treat and honour to see famed Canadian designer David Dixon debut his White Label collection, a bridal collection designed for New York favourite Kleinfeld’s at Hudson’s Bay. There were many other supremely cool collections too; see my run down below. HD Homme specializes in custom and ready to wear men’s clothing, specifically evening wear. It was created as a line that would distinguish itself as the epitome of sophistication – a line that embodies everything a man should be; strong and classy, a man who appreciates standing out from the crowd but who does so with refinement and etiquette. Thomas Bálint is at the forefront of the burgeoning European underground fashion movement. 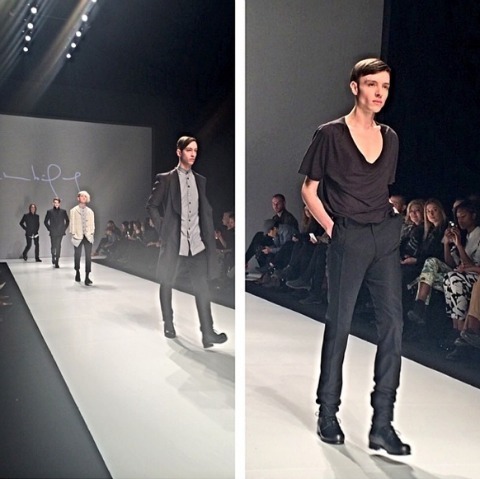 His fall/winter 2014 collection evokes a wistful desire to return to the past. For inspiration the designer turns to his grandparents who worked as tailors in Budapest, appropriating their designs and bringing them into this millennium. This line pays homage to the origins of quilting, which can be traced back to Mongolian craft and tradition. Laura Siegel modernized the age old craft by applying quilting practices to leather and silks. Colours for the fall/winter 2014 season include deep, rich browns, medium to dark greens and warm creams. Heavier outerwear pieces are softened with hand knit suede, wool and cotton textiles. 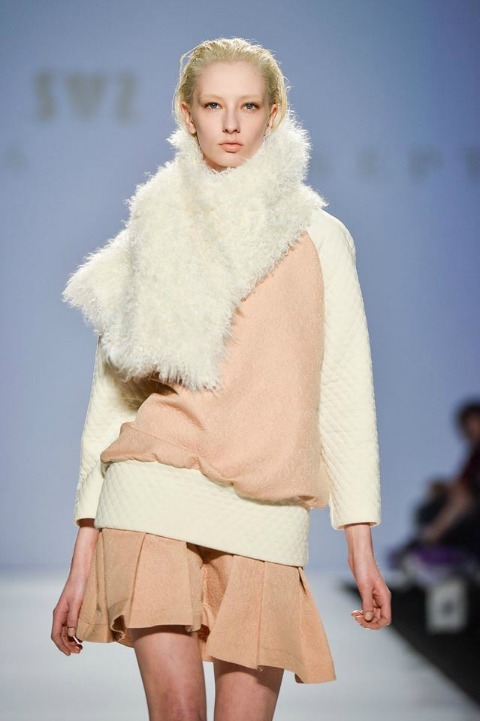 You can also see Siegel’s characteristic features of soft draping, funnel necks and chunky knits. The craft of Kantha embroidery was utilized by implementing smaller geometric embroidered shapes onto larger surface areas. 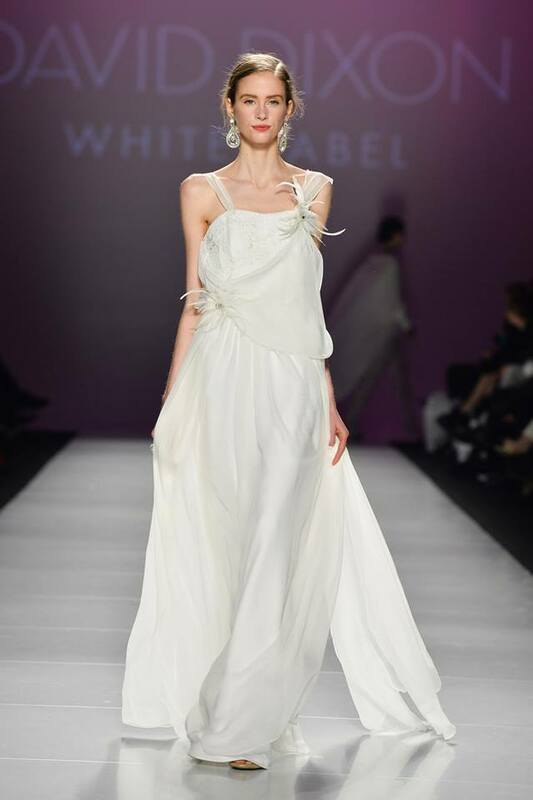 Mercedes-Benz Start Up, Canada’s premiere program to discover and mentor emerging fashion designers, will host its third annual runway show featuring the fall/winter 2014 collections from this year’s Awarded Designers Malorie Urbanovitch and Cécile Raizonville of Matière Noire. Montreal-based designer Mélissa Nepton’s fall/winter 2014 collection will showcase feminine and luxurious looks with a sporty undertone. Toronto-based designer David Dixon remains true to his vision and focuses on women’s contemporary eveningwear and event dressing with his fall/winter 2014 collection. All of Dixon’s designs are manufactured in Canada, utilizing the best of imported fabrics sourced throughout the globe with the overriding theme of luxury.